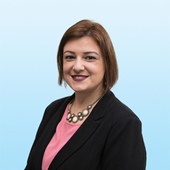 Camila joined Colliers Brasil team in 2007. Today operates in the Human Resources area, as Senior Human Resources Analyst. Since 2009, when she started in the area of ​​Human Resources their mission is to help transform potential talent into successful professionals. Winner of the 2015 Service Excellence Award - Latin America. Winner of the 2016 Community Award - Brasil. Colliers Brasil, Rede Globo, MA1 Participações, Brasil Insurance, M7, BJP5. Business Management - Universidade Paulista. Psychologist, worked with Human Resources more than 10 years. In charge of all subsystems in HR: recruitment and selection, training and development, and remuneration.